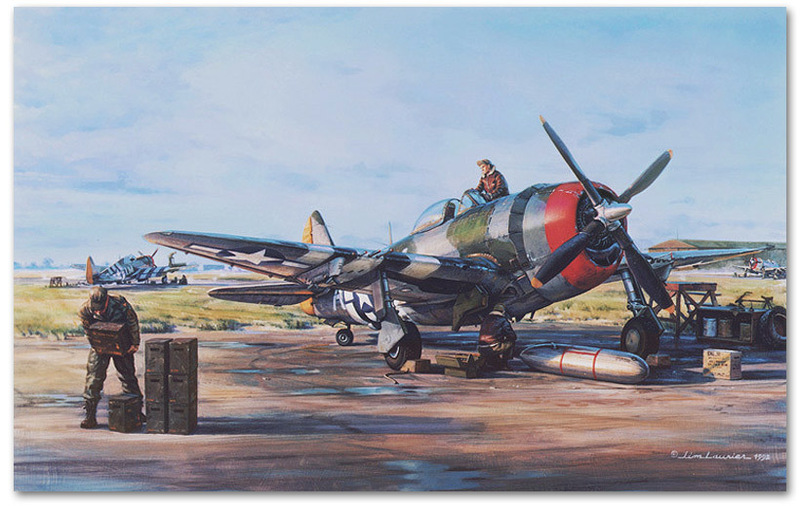 With the balance of power being determined (D-Day) the P-47's of the 56th Fighter Group are being readied for the turmoil ahead. With guns loaded and an extra 108 gal. fuel tank being fitted to the belly, Gabby Gabreski and his P-47 will soon lead his squadron into battle.